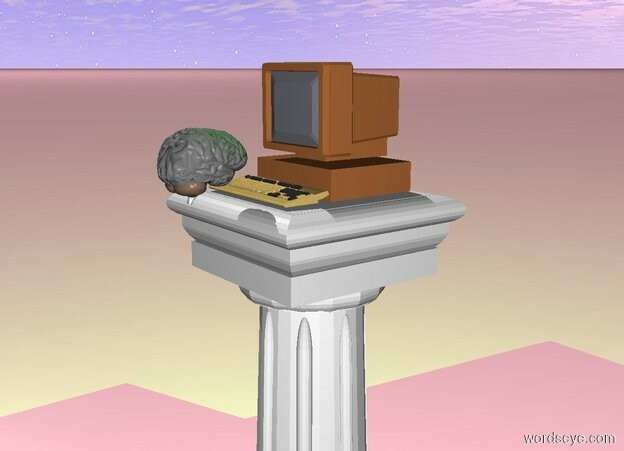 Input text: The Computer is on top of the pedestal.The ground is pink. There is a green light above the computer. The brain is in front of the computer. The brain is facing the computer.